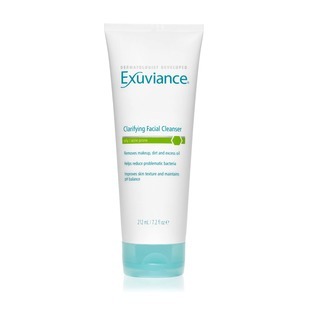 Living a Fit and Full Life: Clarify Your Skin with Exuviance's New Clarifying Cleanser! Clarify Your Skin with Exuviance's New Clarifying Cleanser! Clarify your skin with Exuviance's new Clarifying Cleanser! 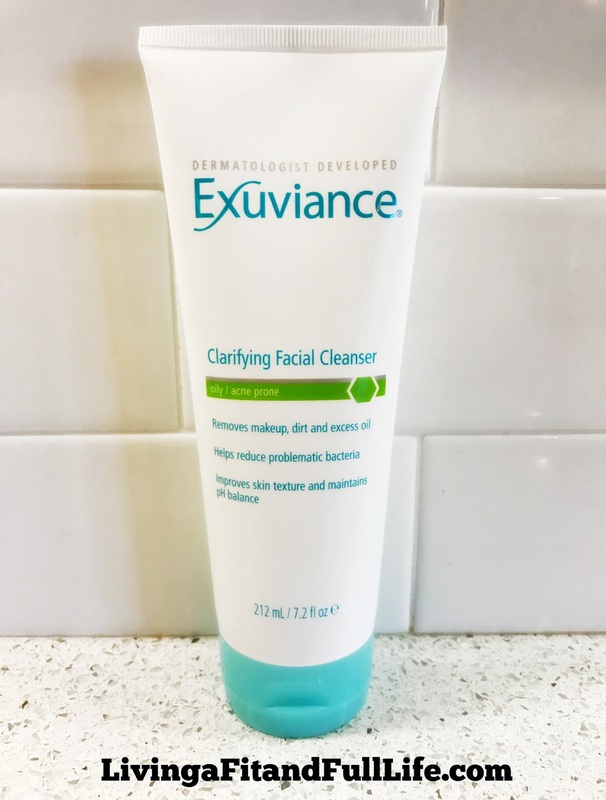 I'm a huge fan of Exuviance's new Clarifying Cleanser because it truly seems to keep my skin free from breakouts. Exuviance's new Clarifying Cleanser contains Salicylic and Mandelic Acids to exfoliate pores to clarify and help control oiliness. 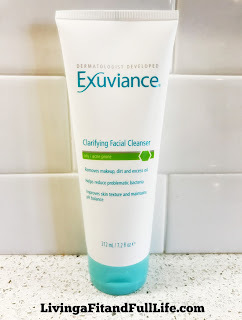 I often have a least one or two problem areas on my face that seem to breakout but since beginning to use Exuviance's new Clarifying Cleanser my skin has completely cleared up which is absolutely amazing! I love that this cleanser doesn't leave my skin feeling tight, dry and itchy like most clarifying cleansers do. This cleanser removes every trace of dirt, oil and makeup leaving behind beautifully clear skin. Exuviance's new Clarifying Cleanser is the perfect way to get beautifully clean, breakout free skin!